An Eagle concrete tile roof is one of the longest lasting roofing products you can buy. Unlike some other roofing materials, it is engineered to last for the life of the structure. Plus, our tile is tested to the highest standards in the industry for impact resistance, fire, high-wind, seismic forces, and freeze-thaw protection. Eagle Roofing Products offers the best warranty in the industry. We guarantee that our product will exceed your expectations. To view a copy of our Warranty, click here. To view a copy of our HOA Warranty, click here. 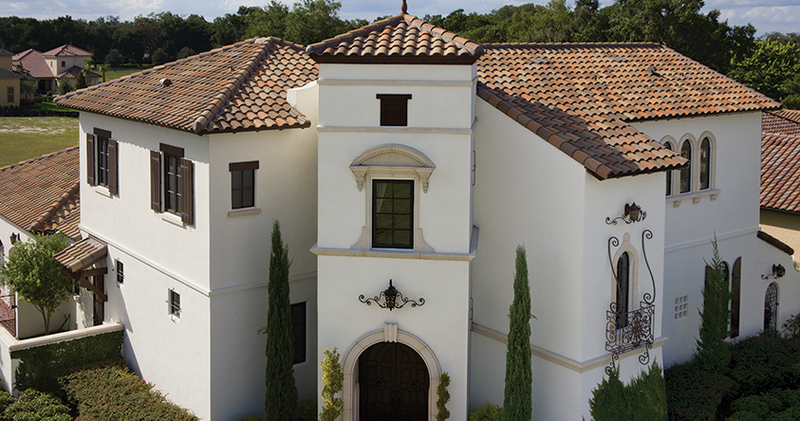 For roof tile purchases made in Florida, click here to view this warranty. For HOA roof tile purchases made in Florida, click here. Please have your roofing contract or spec sheet nearby as it will contain pertinent information that you will need to register your warranty, such as: Name of Builder, Name of Roofing Contractor, Installation Date, Tile Profile and Tile Color. Once registered, you will receive a PDF copy of your Eagle Warranty via email, which you can print and/or save for your records. You can also visit our warranty website anytime to download a copy. If you need assistance in registering your warranty, please call 1-888-470-0236.